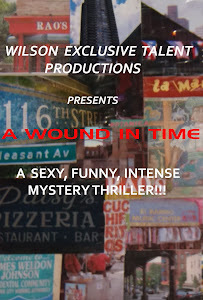 A WOUND IN TIME: GET YOUR HOT TICKET HERE! JUST CLICK THE LINK BELOW FOR RESERVED SEATING! GET YOUR HOT TICKET HERE! JUST CLICK THE LINK BELOW FOR RESERVED SEATING! CAST AND I GUESTING ON AC LOWE SHOW OCT 15TH!